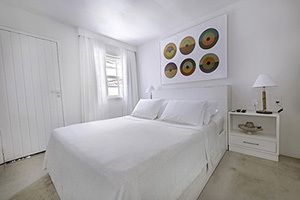 "The Abracadabra Pousada Hotel is located in the city centre of Buzios only two steps from the famous Rua das Pedras, with a beautiful view of the bay. 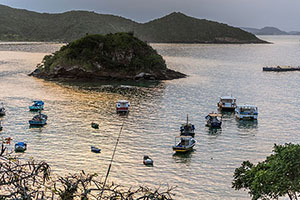 The city’s popular tourist attractions, business district, shops, restaurants and entertainment venues are all within easy reach of the hotel, which makes it the ideal base from which to experience everything Buzios has to offer visitors. The hotel has 16 comfortable rooms, built and individually decorated in a Mediterranean style with wooden floors and light pastel colours. All rooms are equipped with air conditioning, private en suite bathroom, hairdryer, television with cable TV, direct dial telephone, mini bar, table with chairs, alarm clock radio and some rooms have a private veranda. The hotel provides guests with a few facilities and services including outdoor swimming pool, sun deck, lounge, terrace, 24 hour reception, luggage storage room, laundry and ironing services, facilities for disabled guests, parking facilities, safe deposit boxes at reception, tourist information desk, daily housekeeping service, babysitting on request, beach services, medical assistance and wake up calls." 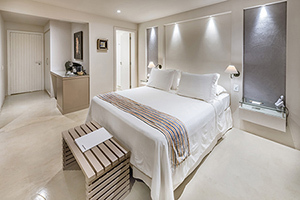 When would you like to stay at Abracadabra Pousada Hotel ? 1) Rates at the Abracadabra Pousada Hotel may not be valid during Carnival, New Years, Easter and other special dates.